This Will Be a Four Part Series Posted Weekly Throughout the Month of June to Help inform You About this Condition called Scoliosis. The First Part, Which You can Read HERE, Defined What Scoliosis is. 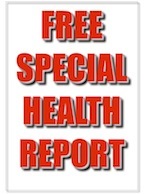 The Second Part, Which You can Read HERE, Discussed What the Symptoms of Scoliosis are, This Third Part, Will Discuss What You Can Do About Your Scoliosis, Followed by the Final Fourth Part, That Will Discuss What the Treatment Options for Scoliosis are Which Will Be Posted Sometime Next Week. If You Don’t Want to Miss this Series or any Future Posts, just Subscribe to the Email Updates HERE. Or You can Subscribe to the RSS Feed HERE (See: What’s This?). The Easiest and Most Effective thing You Can Do About Your Scoliosis are These 4 Specific Exercises. These Exercises are Not Difficult and Anybody Can Do Them. However, if You Do Have any Questions or Have any Difficulty Performing the following Exercises feel free to Contact Me either, through Twitter or this Site’s Contact Form and I will be glad to Help Answer any Questions You may Have. Stand against a Wall with Your Head, Shoulders and Buttocks firmly against the Wall with Your Feet out about a Foot from the Wall. Press Your Lower back into the Wall, Take a Few Deep Breaths and Release. Repeat 10 times. This Same Exercise can also be performed lying down on Your Back. With Your Knees bent Raise Your Arms above Your Head and press Your Lower Back into the Floor. Take a Deep Breath in as You Raise Your Arms and Breath Out as You apply the Pressure. Repeat 10 times. Stand with Your Feet Shoulder-width apart. Put one Hand on Your Hip and Raise Your other Arm up and over Your Head. 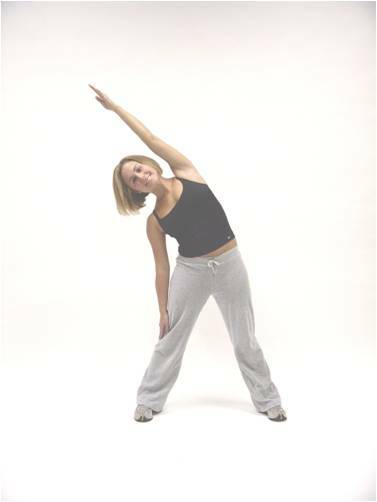 Bend Sideways at Your Waist with Your Raised Arm Curving over Your Head. Simply Stretch and Return to the Upright Position. Repeat 10 to 20 times on Each Side. Be careful Not to Twist as You Bend and Don’t Bounce. You can also add Hand Weights to this Routine. Hold one weight at Your Side instead of putting Your Hand on Your Hip and Hold the other weight in Your Raised Arm. Lie flat on Your Back and bend Your Knees. Breathe in as You Raise Your Arms up over Your Head and tilt Your Hips slightly upwards. Slowly Bring Your Arms forward and raise Your Upper Body as You bring Your Arms forward over Your Knees. Keep Your Elbows straight as You can and continue to roll upwards and touch Your Knees and release Your Breath as You rise. Lie back down slowly and Repeat 10 to 20 times. Lie on the floor face down, place Your Hands shoulder-width apart underneath Your Shoulders. Slowly Lift Your Upper Body up by straightening Your Arms. Keeping Your Knees on the floor and Your Back as straight as possible while tilting Your Hips forward, and Breathe in as You rise up. Hold for 5 seconds, release Your Breath, and slowly lower Yourself back down. Repeat 10 to 20 times. These Exercises Should be done Twice a Day, Once Every Morning and Once Again an Hour Before going to Bed Every Night. Next week is the Final Fourth Part of this Series and will discuss What the Treatment Options for Scoliosis are. 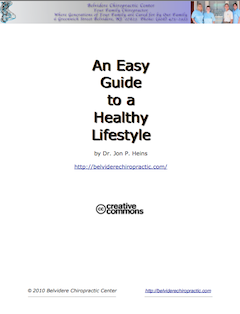 Dr. Heins, you say “Scoliosis doesn’t usually cause pain,” in one of your articles. I was diagnosed when I was 13 and I am now 22. I went to the doctor complaining of back pain. I have lived in pain most days of my life due to this condition. It feels like my actual spine is in severe pain and every surrounding muscle is always tense. I thought it was normal for everyone to feel this way. Like it was just the human body. But as I got older I have learned more about it and met others who have it. It’s not normal. And you know this, but I just don’t understand why you would say it doesn’t cause pain?? Nancy: I’m sorry to hear about your condition. I mentioned in Part 2 of this series What are the Symptoms of Scoliosis? That most of the time scoliosis does not cause pain in children or teens. Pain in a child or teen who has scoliosis may be a sign of another problem. If your child has pain in addition to a scoliosis, it is important that they see their health care provider to find out exactly what is causing the pain and that, if you are an adult with scoliosis you may or may not have back pain and if back pain is present, it is difficult to know whether your scoliosis is the cause of the pain, so again, see your health care provider to find out exactly if your scoliosis or something else is causing your pain. As you can personally testify, scoliosis can and does cause pain (especially after years of progression and spinal joint and disc deterioration) however, when pain is present all other possibilities (such as bone, disc, muscle, and/or nerve involvement) must also be ruled out. The point is, everyone should be checked (whether they are in pain or not) especially if they notice any of the signs or symptoms I mentioned in part 2. Just like a severe tooth problem that requires a root canal or extraction, the problem typically starts years before the pain is noticed and it isn’t until it gets down to the root and it starts affecting the nerve does one feel it. Myself and many of my colleagues have had great success in helping people of all ages with scoliosis (with or without pain) and I recommend you see a local Chiropractor, get current up to date x-rays to find out exactly what kind of condition your spine is in, and then he or she can tell you what they can or can’t do to help you. If they can they’ll be able to tell what and how long it will take to correct the cause of your problem and if they can’t what you’ll need to do to get the help you need.